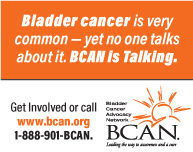 This is the initial edition of Paper Alert in Bladder Cancer. Because of two recent shortages of BCG for treating non-muscle invasive (NMI) bladder cancer, (two to three years ago of the Connaught strain, and within the past year of the Tice strain), and with strains used in other countries not available in the United States, urologists have been faced with several problems in managing patients with NMI BC, particularly those with high grade disease. Of articles published within the past 3 months, I thought four would be of particular interest. As with any scarce resource, either increasing the supply or restricting its use (both in terms of limiting how much is administered to any given patient and assuring that it is administered only to those patients likely to benefit) are common-sense approaches. Several points can be inferred from these four articles, although none were specifically trying to address what should be done in the face of a BCG shortage. Despite articles and studies to the contrary , three of the papers reviewed reported using different strains of BCG in similar populations (but distinctly different studies), with relatively similar results [2–4]. Aside from patients at highest risk for progression, the role of maintenance BCG, including optimal durations, doses, and schedules of treat- ments remain uncertain [5, 6]. While reduced doses of BCG (usually done to avoid toxicity but employed during the recent shortages to permit treating more patients) has not been found to be as effective as full dose in some studies , in others, as in Yokomizo et al’s, reviewed here, it is as effective . Since a significant percentage of patients not only fail to respond to BCG, but also progress to stage T2+ BC despite aggressive monitoring and treatment schedules, knowing which patients are less likely to respond, based not only on tumor properties but also host characteristics (molecular phenotypes/genotypes), would be of great value. This would not only spare wasting a precious resource (BCG during times of shortage), but more importantly save patients from undergoing a treatment destined to be ineffective and losing precious time before receiving definitive therapy. 166 patients with “unresectable” NMI BC were randomized to receive 40 or 80 mg of Tokyo strain BCG (currently not available in the US) weekly for eight weeks without maintenance instillations in a noninferiority study design. Patients had carcinoma in situ (CIS) alone or with papillary NMI cancer (88%) or multiple NMI bladder cancers without CIS (12%) that “could not” be resected entirely. At median follow up of 3.6 years complete response (CR) rates were 78% (0.70–0.88, 95% CI) in the low dose versus 85% (0.77–0.92) in the high dose patients. While the null hypothesis of inferiority for the low dose group could not be rejected (Z = 1.56, p = 0.119), there were no differences in recurrence free survival rates (p = 0.94), progression free survival (6.5% total cohort) (p = 0.938) (5 progressors in each arm) or overall sur- vival (p = 0.709) between the two groups. Side effects, particularly dysuria and fever, were significantly less common in the patient’s randomized to the 40 mg dose. The cost of treatment for low dose BCG was 52% of full dose. In the current climate of BCG shortages, this is important information since the vast majority of participants had high risk disease (CIS) and recurrence free survival (roughly 80% in each group), was similar despite no maintenance BCG being administered. 397 patients with grade 3 stage TA, T1, and/or TIS urothelial cancer were randomized to “full” strength Connaught strain BCG x6 versus BCG x6 and one instillation of BCG every three months for 3 years. No difference was found between groups in terms of recurrence, progression to stage T2 and/or metastases, disease specific deaths, or overall deaths with a median follow-up of nearly 6.5 years. Only 10% of those randomized to maintenance instillations discon- tinued them because of toxicity. 37.3% of patients had recurrences, 18.4% had progression to T2+ or N+ or M+, and 38.8% died, 13.6% of bladder cancer. 86% of patients had T1, TIS or T1+TIS index cancers and 80% had newly diagnosed cancers. This study gives important information about patients treated with induction BCG alone. While it did not include mandatory re-TURBT, it certainly confirms data previously reported about BCG and high risk NMI BC: 30% experience recurrence, nearly 20% progress to stage T2+, and this and other maintenance regimens with single instillations for various periods of time and at various intervals between instillations other than 3 instillations at month 3, and every six months thereafter for 3 years (SWOG regimen), are not more effective than a single induction course of BCG without main- tenance, or with reinduction or other therapies upon recurrence. This paper reviews results of 2 randomized EORTC studies (30962 and 30911) with a total of 1812 patients and creates nomograms for risk groups and outcomes. Maintenance consisted of 3 weekly instillations with full strength Tice BCG at month 3 and every 6 months for 1 or 3 years. Importantly, only 23% of patients had grade 3 disease and none had CIS (alone or with pap- illary Ta or T1 cancer). None had reTURBT, either. At 5 years, 18.9–19.2% of patients with T1 G3 dis- ease progressed to T2+ and 11.4% died of bladder cancer, the vast majority within 3 years. The authors could not find a distinction between 1 and 3 years of maintenance - in part because many patients did not complete more than 1 year of treatment. Patients with a history of >1 one recurrence/year and >4 tumors at index TURBT, were at highest risk for recurrence and progression. This report had significant differences from that of Martinez-Pineiro, et al’s (different BCG strains, no patients with CIS, a much lower proportion of primary tumors, different maintenance regimens), but the pro- portions of grade 3 patients progressing to stage T2+ was almost identical (almost 20%) and of dying from BC (11.4 – 13.6%) at 5 years in both studies were very similar. BCG induces Nitric Oxide Synthase (NOS) in cytotoxic macrophages, increasing intracellular NO levels, which promotes cytotoxic effects against tumor cells. However, baseline elevated or low levels of NO sub- sequently make cells resistant to effects of higher NO levels. Polymorphisms in germline DNA of NOS @ and 3, which are associated with high or low base levels of NO, may predict response to BCG. In a prospective study of patients with high risk NMI cancer treated with BCG, those patients with polymorphisms in germline DNA associated with high or low base levels of NO (N = 29.4%), responded significantly less well to BCG, in terms of cancer specific survival, recurrence-free survival, and progression-free survival in a small study (N = 51) than those with polymorphisms associated with normal NO levels (70.6%), with 15 years clinical follow-up. This study has many limitations including variability in treatments patients received, tests which are not ready for routine clinical use, and using genotypes to predict basal NO levels rather than actually measuring the NO levels. However, it is potentially quite important, especially since roughly 30% of high risk NMI BC patients fail to respond well to BCG. If con- firmed in larger prospective studies in more uniformly treated patient cohorts, this type of test may not only help to predict patients who will or will not respond to BCG, but may also provide clues about how to improve responses in those patients likely to be refractory to BCG. Rentsch CA, Birkhauser FD, Biot C, et al. Bacillus Calmette-Guerin strain differences have an impact on clinical outcome in bladder cancer immunotherapy. Eur Urol 2014;66: 677-88. Yokomizo, etc. Randomized controlled study of the Efficacy, Safety and Quality of Life of Low-dose Bacillus Calmette Guerin Instillation Therapy for Non-Muscle Invasive Bladder Cancer. J Urol, in press, 2015. Martinez-Pineiro L, Portillo JA, Fernandez JM, et al. Main- tenance therapy with 3-monthly Bacillus Calmette-Guerin for 3 years is not superior to standard induction therapy in high-risk non-muscle-invasive urothelial bladder carcinoma: Final results of randomized CUETO Study 98013. Eur Urol 2015;68:256-62. Sylvester RJ. Maintenance bacillus calmette-guerin therapy: The search for the optimum treatment schedule continues. Eur Urol 2015;68:263-6. Oddens J, Brausi M, Sylvester R, et al. Final results of an EORTC-GU Cancers Group randomized study of maintenance Bacillus Calmette-Guerin in intermediate and high risk Ta, T1 papillary carcinoma of the urinary bladder: One-third dose versus full dose and 1 year versus 3 years of maintenance. Eur Urol 2013;63:462-72. Ryk C, Koskela LR, Thiel T, et al. Outcome after BCG treatment for urinary bladder cancer may be influenced by polymorphisms in the NOS2 and NOS3 genes. Redox Biology 2015;6:272-7.